The beautiful thing about eggs is you can eat them for any meal – breakfast, lunch or dinner. 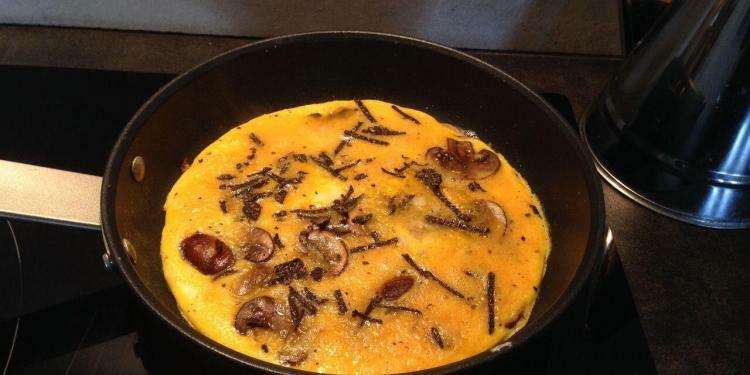 Egg dishes are generally quick to make, like this Mushroom and Truffle Omelette recipe. 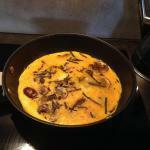 For the best result, muster the patience to allow the black truffle to “sit” with the eggs. 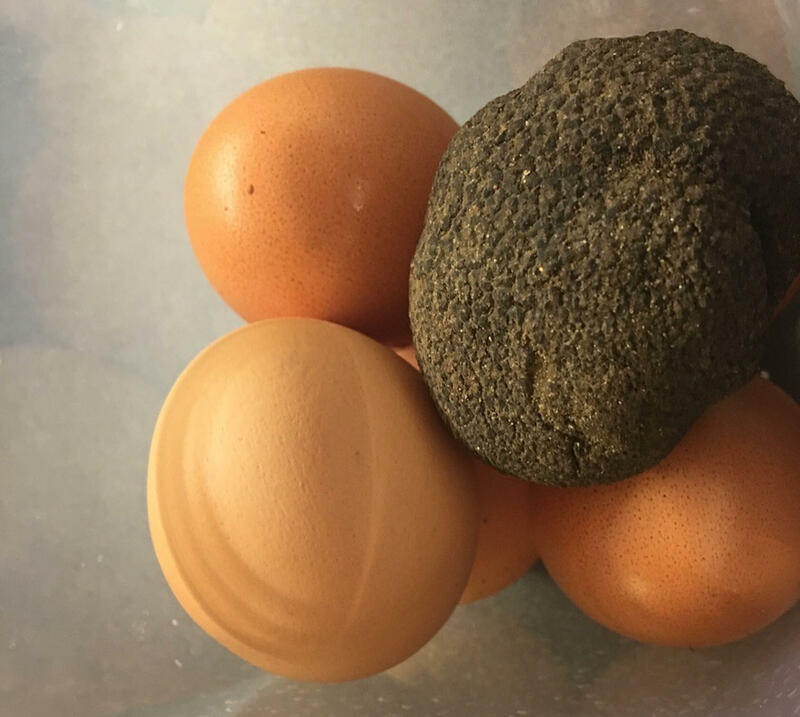 By storing your truffle with the eggs in an airtight container for two (2) days, this allows the truffle fragrance to permeate the eggs. Delicious and easy a quick lunchtime meal or light dinner. Begin by lightly frying the sliced mushrooms in a little butter. Crack the eggs into medium-sized mixing bowl and add in the cream. Season, whisk together until light and fluffy, then stir in the fried mushrooms. Slice your truffles as finely as possible and set aside. Heat your non-stick pan, melt the butter, then tip the egg mixture into it, carefully pushing it around on the edges with a flexible spatula. 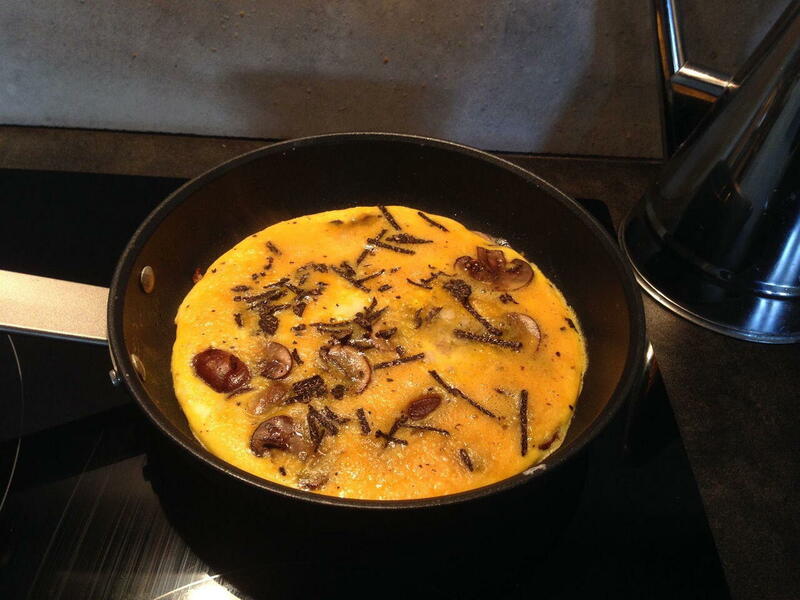 When the top of the omelette is almost set, sprinkle your sliced truffles on top then fold it in half. Serve immediately with a green salad and some crispy warm bread. Petra Carter is the smiling face behind the cooking school Le Pistou. The cookery school is centrally located in Uzès, right next to the tourist office and steps away from the main boulevard. The one-time garage was wholly transformed into a bright, lofted space equipped explicitly for cooking classes. This lady - previously the food-editor of Irish Tatler - has developed several options for classes at le Pistou Cookery School. There are workshops and multi-day classes where students dive into the magic of cooking with flavours of the South of France.